Upping our A game improves client service. by Darlene Tonelli, November 5, 2018. In Inter Alia’s first blog series on happiness and fulfillment, I wrote a bit of an abbreviated “how-to” guide for lawyers to align themselves with a career that leads to a greater sense of wellbeing and purpose. In this second series, I’ve been talking about why all that talk of happiness and fulfillment matters. I promised that each instalment would highlight one reason why lawyers must build personal fulfillment into our careers as a mandatory, rather than a “nice to have,” requirement. Today I’m talking about the impact this has on client service. 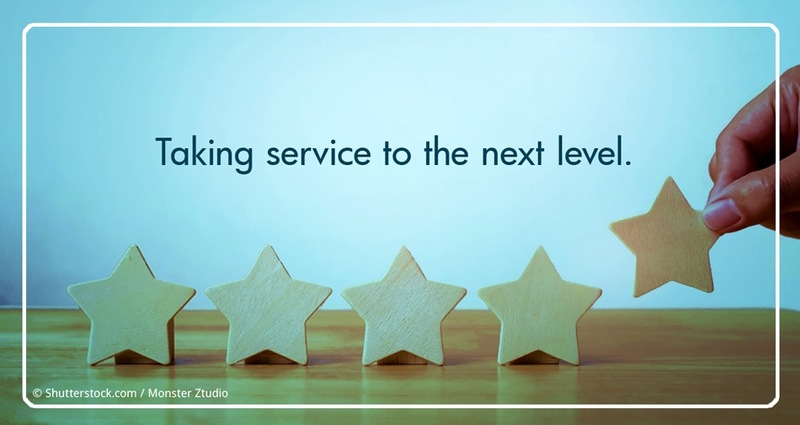 My theory is that next level client service can ONLY be provided by lawyers who enjoy what they do, have a genuine curiosity about the subject matter, and a personal affinity towards the people they are dealing with. Look at Starbucks. They set the gold standard in customer service. I think about how they have achieved this, and what I can take from it when providing service to my own clients. First of all, the baristas at Starbucks seem to enjoy their work. I’m sure there are exceptions to this rule – but if there are, I don’t see them. One of the only businesses out there right now that I walk into and know I will receive a high level of service backed by some energy and a genuine interest in my experience, is Starbucks. Second, they personalize the product for the customer. My name is on my cup, and I can make my drink as crazy half-caf, double whip, hold the syrup, “skinny” as I want to without being subjected to scorn. (For the record, I don’t do this – but I like that I have the option). Third, they constantly and never-endingly improve. Over time, they’ve made it easier and easier for me to make them a part of my day – they offer fast payment options, reward points, seasonal menus, healthy food options, ethical options for fair trade coffee and water, and consistency across their locations. The net result is that I spend a lot of money every year… on coffee(!!) in their stores. It’s become a touchpoint in my day not just because of the product I’m buying, but because of the way I feel when I’m there. – how welcoming are we when our clients call? – do we consider their experience in dealing with us when structuring solutions for them? – do we personalize our services for their needs? – do we recommend better options for them when we see they’re asking us the wrong questions? – do we innovate because we want to make things better for them, or because we’re forced to? – do we get the answers that they need? These are the key questions that lead me to Inter Alia’s only benchmark measurement for our lawyers – client satisfaction. We aim to ensure that whatever the product (whether negotiated agreements or assistance with disputes), our client leaves the interaction feeling positive about Inter Alia. I hope that a call to one of our lawyers is a high point in their day. I want to be sure we’re exceeding expectations. If we are, we’re good. Business is good. Lawyers are happy. Clients feel good about the relationship they have with us. No need to worry too much about everything else. Much is made of how the issue in law is the billable hour, or the rates. I actually disagree. I don’t pay $6 for the coffee and milk in my Starbucks Grande Gingerbread Latte – I pay it because of the overall experience, the way I feel when I go in there, and the consistency of experience in the hands of people who care about my wellbeing. I pay it because they get my order right without a long wait almost 100% of the time, which is important too. I believe by extension that, in law, most clients care less about the number on the bill than about the quality of service and results they receive. If there’s a match, there are no complaints. We can’t forget we’re in the service business. With this in mind, lawyers who love what they do and feel good about their product have a major edge. We welcome your input at any time. Find us on Twitter, LinkedIn and Instagram, or listen to us talk more about these ideas on the Lawyer Life Podcast (LLP).